In July 1723 Quantz made a journey to Prague for the coronation of Holy Roman Emperor Charles VI, together with the lutenist Sylvius Leopold Weiss (1687 – 1750) and Carl Heinrich Graun (1704 – 1759). All took part as orchestral players in the performance of the opera “Costenza e fortezza” by the court composer Johann Joseph Fux (1660 – 1741). The work was produced in a magnificent stile, with spectacular staging, an excellent cast of singers, a large chorus and orchestra. The performance was “in open air with 100 singers and 200 musicians” (Quantz’s autobiography). Quantz played the oboe and Graun the violoncello. Carl Heinrich Graun was the future Kapellmeister of Frederick the Great. 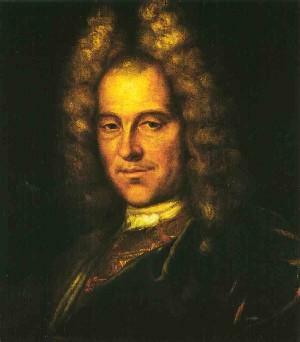 Franz Benda (1709 – 1786), one of the future violinists of Frederick the Great, also attended as a member of the chorus. Graun and Benda were most probably recommended to Frederick the Great by Quantz. During this journey he also met the famous violinist Giuseppe Tartini (1692 – 1770) and praised his beautiful tone and strong technique. Tartini had recently entered the service of Count Kinsky. “The opera was performed outdoors by 100 singers and 200 instrumentalists. It was written more in the church style than theatrically; but made a magnificent effect. Concertizing and linking of the violins with one another in the ritornellos, though consisting of movements that might appear stiff and dry on paper, mostly made, with so numerous a band, an excellent effect, indeed a much better one than would have a more gallant melody ornamented with many small figures and quick notes.” (Quantz’s autobiography). See also Music in European Capitals: The Galant Style, 1720-1780, by Daniël Heartz, 2003.